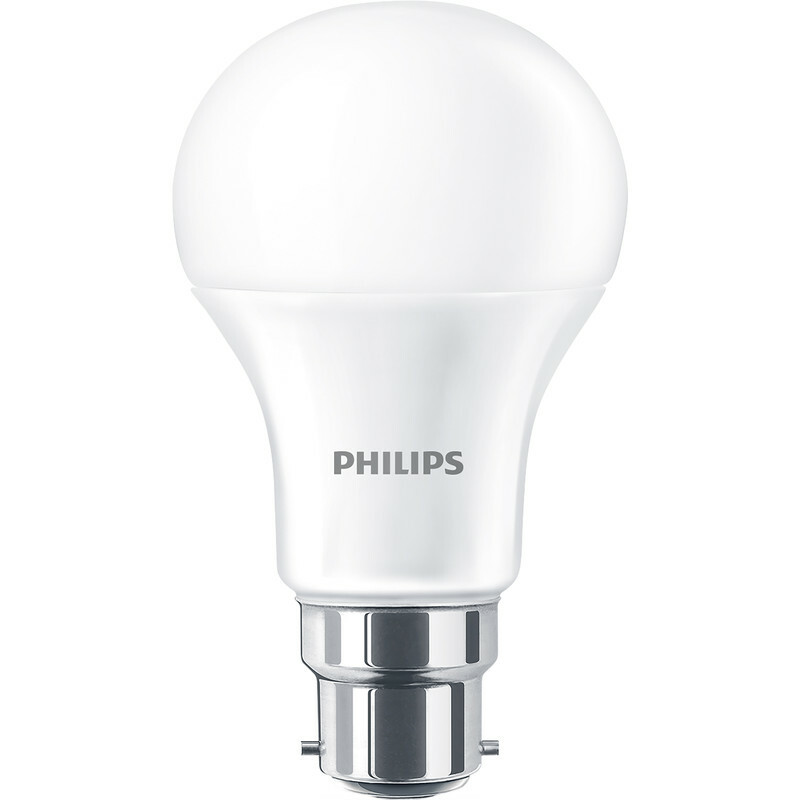 Philips LED A Shape Lamp 13W BC (B22d) 1521lm is rated 4.7 out of 5 by 40. Rated 5 out of 5 by wenjj1970 from Great value bulb Bought for a new outside lantern, very effective and great value for money. Rated 4 out of 5 by Ferryboy from LED Bulb Does what it says on the tin. Rated 4 out of 5 by JJ123 from Perfect We got two light bulbs in a pack and one is rattling (we will use as spare) might be nothing. However we fitted the bathroom light and the light bulb is in working order. Very bright and has been working for more than a month or so. Rated 4 out of 5 by WeLoc from Brigher than expected A little brighter than expected, because the illuminated angle is around 210 degrees.